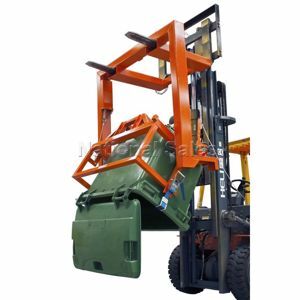 This wheelie bin lift attachment fits just about any forklift and can be used to pickup, transport and tip 660 litre Wheelie Bins. The WB style tipper is operated from the Forklift drivers seat by pull-cord. 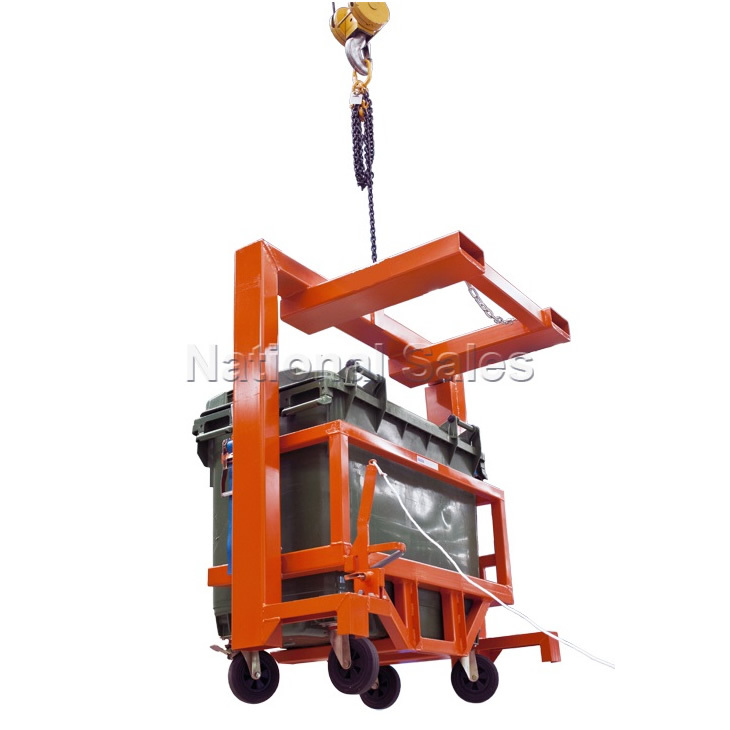 The bin is quickly and easily secured in the wheelie bin cradle with safety chains. 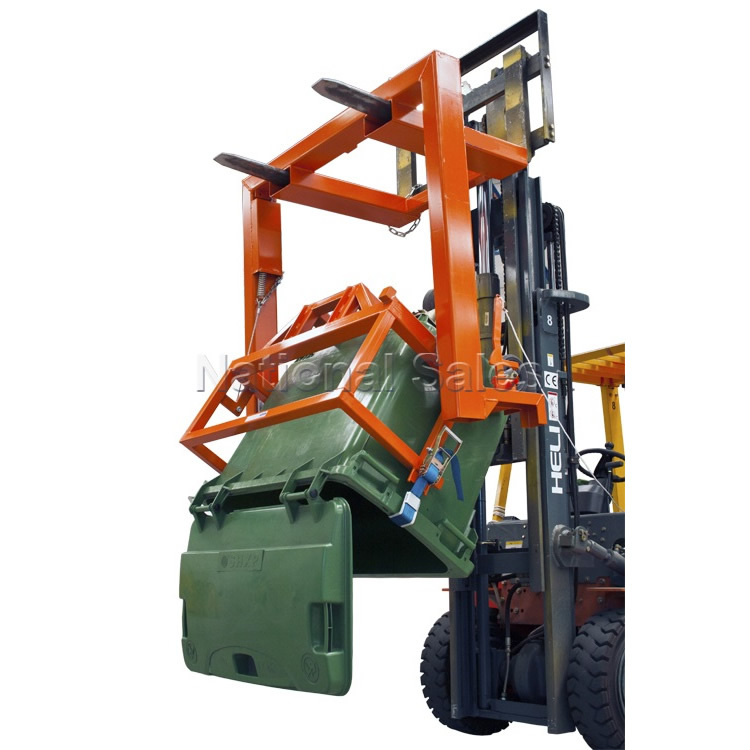 Forklift attachment for lifting 1100 litre Wheelie Bins. 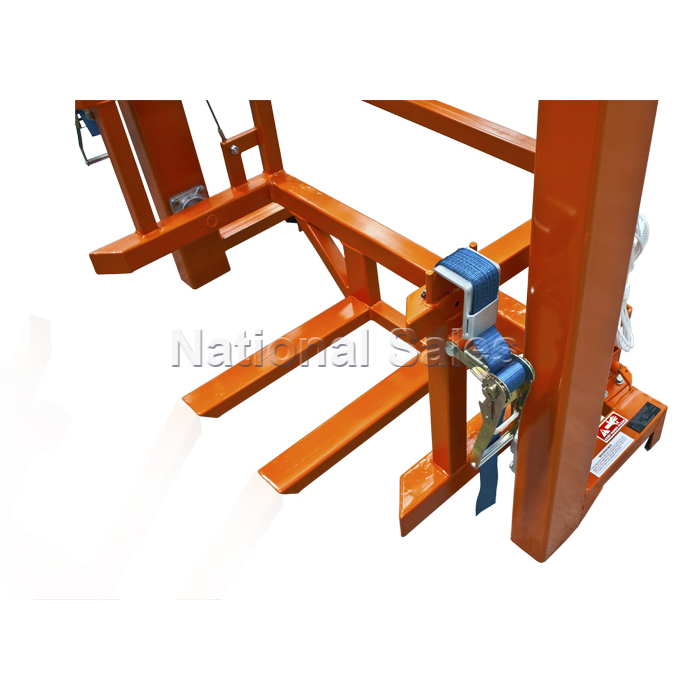 The WB style tipper is easily operated from the Forklift drivers seat by pull-cord. With two models available, one for the 240 litre and another for the 660 litre Wheelie Bins, the WB style tipper is operated from the Forklift drivers seat by pull-cord.